Hailing from Regina, LOA blends new wave-tinged electro and R&B into her own scintillatingly smooth brand of pop music. 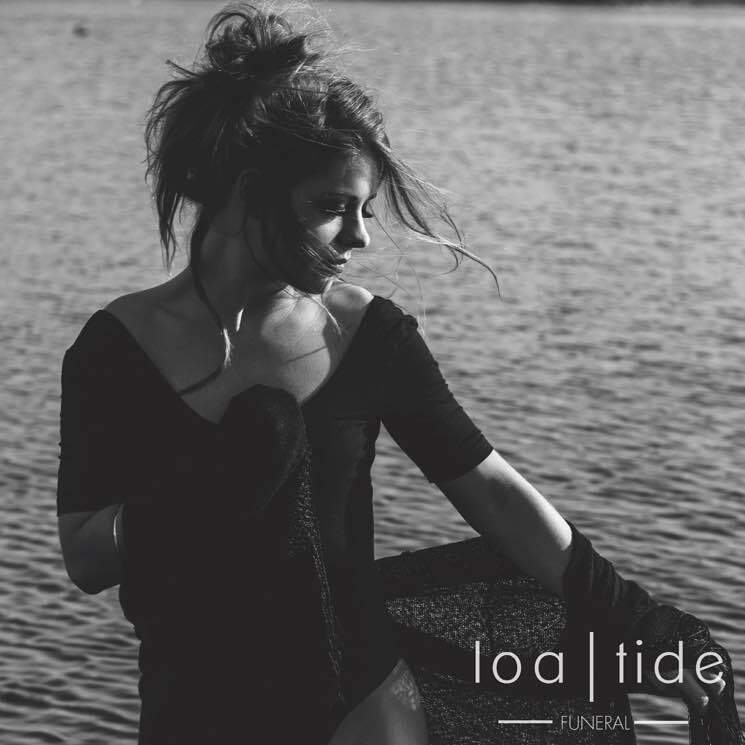 Her debut album Tide is slated for release next year, but in anticipation of its arrival, Exclaim! is giving you an exclusive first listen to her brand new single "Funeral." Carving out a niche for herself in a city primarily known for folksier fare, LOA's latest track mixes mysticism with moody electronic sounds and dark R&B vibes to cast an intoxicating spell over listeners. "Funeral" was produced by Heights Beats, but the message behind it is all about LOA finding her own identity. "'Funeral' speaks to putting past identities to rest, and from it, emerges a stronger individual," LOA tells Exclaim! "This killing off of past selves forces a new identity to be born who is unafraid and unapologetic to the world. This new perspective empowers her, enabling her to become a temptress, as if inviting past demons to haunt her again. Only this time, knowing that she has already experienced and overcome the pain before, she welcomes the demons with open arms. Her newly found self cannot by fooled by the same demon twice." You can hear her inner temptress get exposed by giving "Funeral" an inaugural spin in the player below. It officially hits digital streaming services on November 12.